Just a couple of hundred yards south east of Dunfermline Abbey & Palace is a less assuming visitor attraction that is every bit as fascinating in its own right. 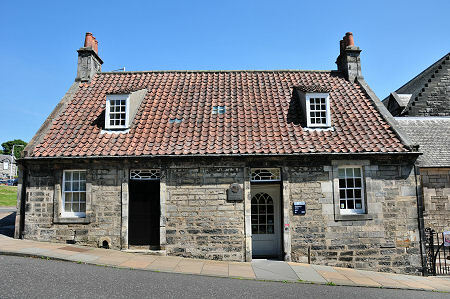 The Andrew Carnegie Birthplace Museum celebrates the birth in Dunfermline in 1835 of Andrew Carnegie, who became the greatest philanthropist who has ever lived. His father, William Carnegie, was a hand loom weaver, and the extended family had a strong tradition of self-education, political activism and liberalism. 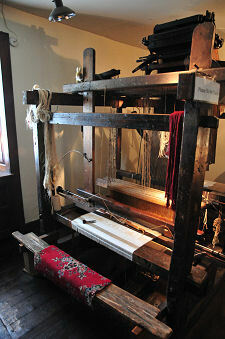 With the advent of the factory system in the 1840s, weavers were required to migrate from working at home to working in factories. The Carnegie family's reputation for activism meant that William Carnegie found work increasingly hard to come by. So in 1848 he took his family, including the 13 year-old Andrew, to the United States, settling in Allegheny, Pennsylvania. Here both William and Andrew took work in a cotton mill. The young Andrew looked to his own education by making use of the library of Colonel James Anderson, who made it available to working boys each Saturday night. Carnegie then took a number of jobs, moving from telegraph messenger boy to telegraph operator with the Pennsylvania Railroad Company; before rising swiftly to become Superintendent of the Pittsburgh Division of the Pennsylvania Railroad Company. By the end of the war, Carnegie had moved heavily into investing in the steel industry, and after it he drove forward the replacement of the vast number of wooden bridges across the railway networks of the US with steel bridges. In 1868 Carnegie introduced the Bessemer steel making process into the USA from the UK and embarked on a course that by 1900 was to to make him one of the richest men in the most powerful nation on earth. In 1900 alone, Carnegie's personal share of his companies' profits amounted to $25,000,000. 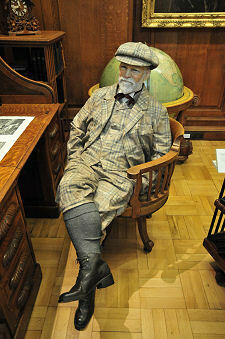 In 1901 the 65 year old Carnegie wanted to retire and concentrate on doing good with his wealth. He therefore sold his steel making interests to John Pierpont Morgan for the sum of $480 million, of which Carnegie received $225 million personally. The result was known as US Steel. Andrew Carnegie had long published articles and books proclaiming the need for the rich to put their wealth to good use, and from 1901 onwards he put his principles into practice. By the time he died in 1919, Carnegie had given over $350m to good causes (by some estimates, this would equate to over $76 billion today). In later life he returned to Scotland for part of each year, where he had purchased Skibo Castle near Dornoch as a highland residence. The cottage in which Andrew Carnegie had been born was purchased for him as a 60th birthday present by his wife Louise in 1895. It was opened to the public in 1908 and after his death in 1919 his wife proposed the building of a museum beside the cottage to serve as a "Memorial Treasure House". 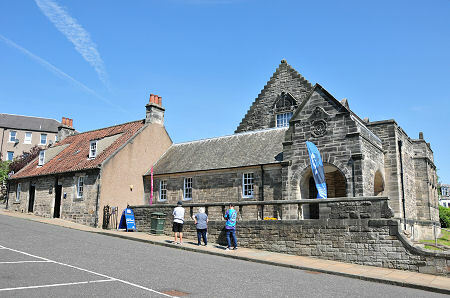 Work began in 1925 and the Cottage and Memorial Hall were formally opened on 28 June 1928. 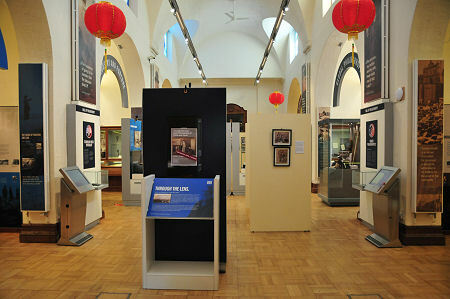 A complete refurbishment in 2008 means that today's visitors enjoy a varied and beautifully presented series of exhibitions. You start your visit in the cottage itself, doubtless wondering how an entire family could live and work in such a small space. 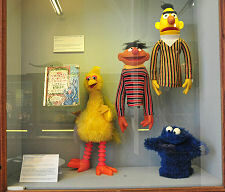 The main exhibition area offers everything from an insight into Carnegie's industrial achievements to a set of puppets from Sesame Street, a TV program that only got off the ground with help from the Carnegie Corporation of New York.